With interesting trends going on these days in the credit card industry, it appears the nation’s financial health might finally have turned the corner. 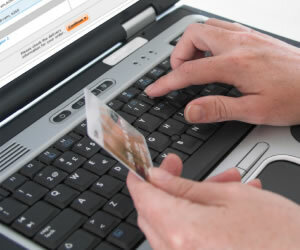 Late payments and defaults on credit card accounts dropped once again in April. Even better is the fact the numbers are back down to 2008 levels. Of the six big credit card companies, five reported fewer late payments and charge-offs. Citi reported its late payments fell from 4.21 percent in March to 3.87 percent in April. Further, its default rate dropped too. In March, the bank reported a 7.89 percent default rate, though for April, that number had dropped to 7.85 percent. Citi’s always had an impressive product offering and if you’re thinking of applying, we encourage you to consider the Citi Platinum Select MasterCard. It offers an introductory 0% APR for an impressive twenty one months. You’ll benefit from the Citi Identity Theft Solutions program, as well as no annual fee and free online account management. Discover has some impressive numbers as well. Its charge off rate was 5.18 percent in March. At the end of April, it had dropped to 5.02 percent. Late payments went from 3.59 percent in March to 3.41 percent in April. Interested in applying for a Discover credit card? We suggest you look at the Discover More Card. The first fifteen months come with a 0% intro APR. This is another card that has no annual fees. It’s been a high ranking credit card since it was introduced. Not only that, but Discover’s customer care teams are considered some of the friendliest in the industry. American Express is the big winner, though few are surprised since it’s consistently fared better with charge offs and late payments. In March, its charge-offs were 3.7 percent, though for April, that figure had dropped to 3.5%. Late payments also decreased, too. American Express has several great offers, including the Business Platinum Card from American Express Open. This, of course, is designed for small and medium sized businesses, but the perks that come with it are plentiful and impressive. Everything from concierge services to automatic and complimentary enrollment in the Hertz #1 Gold Club, The Platinum Office Program (access to more than 1,00 business lounges with internet access around the world) and automatic enrollment in the Membership Rewards First program, this card makes the business person feel like royalty. As with many traditional AMEX cards, there is no pre set spending limit, but be sure to read the terms and conditions carefully. Those in the financial sector like to say they are “cautiously optimistic”, but with such consistent reports from all the major card carriers, it’s easy for many consumers to let their guard down a bit. That’s always good for the economy, of course, but in the final analysis, it still comes down to the mindsets of those consumers. They will ultimately decide how quickly these difficult months become little more than an unpleasant moment in the ever-changing financial world. That said, it looks as though the credit card industry is doing its part and after several years of withdrawing, it’s good to see those perks, incentives and introductory 0% interest rates returning. As always, we strongly encourage anyone in the market for a new credit card offer to carefully review the details. It’s the only way you’ll know if any particular credit card offer is right for you. If you’re unsure about the jargon that is sometimes found in the fine print, be sure to check out our financial glossary and we also have an easy to use financial calculator too.